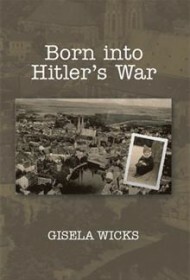 Gisela Wicks’ intimate memoir covers her life from ages four to 18, when she was forced to deal with personal loss and a scramble for survival in East Germany after World War II broke out. Initially, Gisela lived an idyllic life in Goerlitz, Germany, with her sweet grandmother (Oma) and older sister (Christa). Her parents had long separated, and while her father (Vati) often visited, she never knew where her mother was. Without warning in the summer of 1939, Vati took her to live with him, and she was thrust into the care of a cruel stepmother who became even more abusive after Vati headed off to war. They scraped by in abject poverty for years, even after the war ended in 1945 and Germany was partitioned into two countries. Eventually Gisela was reunited with her real mother, Oma and Christa. Together they sought sparks of happiness before devising a daring secret escape to West Berlin and freedom. Written over 14 years after Wicks moved to the U.S. and learned English, this historically enriching memoir brims with gripping detail of everything from the war’s destructiveness externally and internally to the intricate work she was taught at factory jobs in her teens. Re-created dialogue helps keep readers engaged with the story. The memoir’s minor typos and spelling missteps and occasional repeated facts never diminish the vivid, detailed trek through Gisela’s difficult young life. The text is further enhanced with German words throughout (translated) as well as black and white photos and a page describing what happened to everyone years later. Overall, this captivating memoir is a gem deserving of a wide audience.